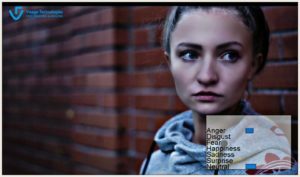 Emotion recognition or emotion detection/estimation takes a facial expression from an image or from video as an input and returns the probability of each of the six basic emotions: happiness, sadness, anger, fear, surprise, and disgust, as well as neutral. These basic emotions were researched by Paul Ekman (1972) who supported the view that these emotions are discrete, measurable, and physiologically distinct, which leads to their universal recognition, even in preliterate cultures who could not have learned these associations through modern media. Basic emotions can be modified to form complex ones, which can arise from cultural conditioning or association, for example a combination of anger and disgust could form a version of contempt. When we analyze commonsense emotions like happiness or sadness, we know that these come in many different degrees, intensities and qualities, and our FaceAnalysis package displays the probabilities of each emotion. Our experiences often consist of multiple emotions at once, so our software shows the probability distribution of all basic emotions, making it an emotion estimation. Nowadays emotion estimation has lots of uses in industry, but in academic research as well. For example, businesses can use emotion estimation to capitalize on it to sell their products to the consumers in the opportune moments. Marketing researchers can use it to verify the emotional reactions of users to their products, shelf placement or ads, while webmasters can use them to see how the users react to their content. 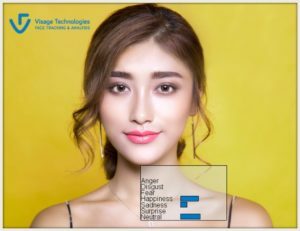 Check out our FaceAnalysis package, which includes cutting-edge algorithms to estimate not only emotions, but age and gender as well!